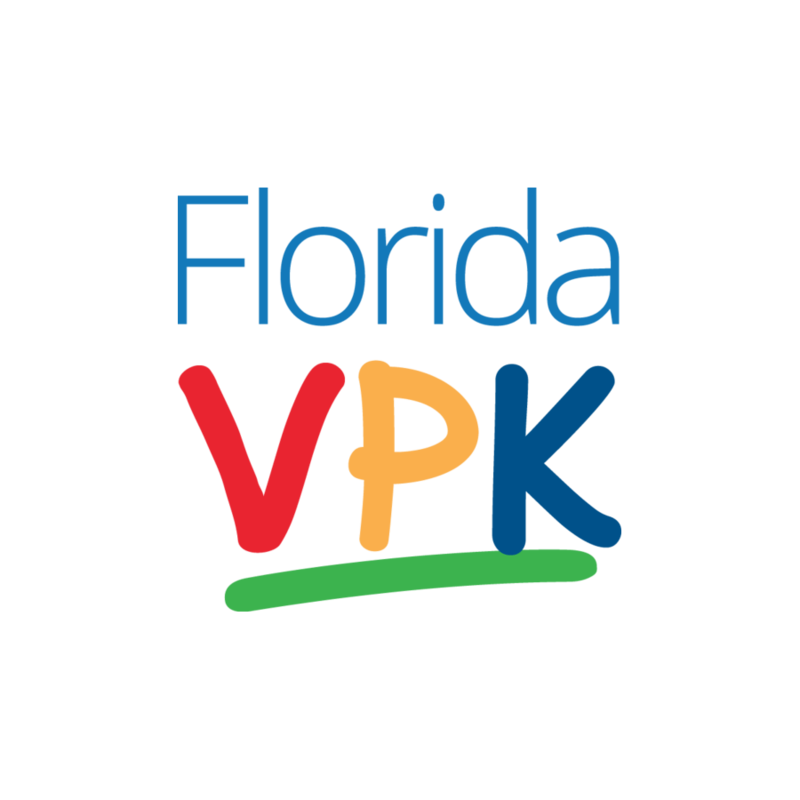 The Voluntary Pre-Kindergarten – or VPK – is a free prekindergarten program for 4-year-olds who reside in Florida and were born on or before Sept. 1 each year. VPK gives each child an opportunity to perform better in school and throughout life with quality programs that include age-appropriate curricula with a strong emphasis on early literacy skills, accountability, manageable class sizes and qualified instructors. Parents can choose from one of several program options available from private and public providers. Providers have flexibility to structure the hours per day and days per week to meet the required number of instructional hours. School Year Program – 540 instructional hours. Class sizes are not to exceed 11 students when there is a single lead instructor or up to 20 students with a lead instructor and an assistant. Instructors must have a minimum of a Florida Child Care Professional Credential. Summer Program – 300 instructional hours. Class sizes should not exceed 12 students with one lead instructor. Instructors must have a minimum of a bachelor’s degree. VPK Specialized Instructional Services Education Program takes place outside a traditional classroom setting and is for 4-year-olds with special needs who have current individualized educational plans from their local school districts. Questions or concerns about VPK? Staff are available Monday through Friday from 8 a.m. to 5 p.m. EST. Call toll free 1-866-357-3239.